요지란 자기나 기와, 토기를 만들어 굽던 가마터를 말한다. 신라시대 토기를 구워내던 곳으로 그 당시의 가마가 있던 자리이다. 주위의 밭에는 토기 조각들이 많이 흩어져 있다. 이 일대의 밭에서 발견되는 토기조각들은 가마에서 실패한 조각들로서 찌그러지거나 서로 붙은 것이 많으며, 가마벽 조각들은 굳은 점토질로 되어있다. 발견되는 토기들은 대부분 7∼8세기로 짐작되는 꽃무늬를 찍은 토기들이며, 이중 약 20％가 회색유약이 발라져 있어 주목된다. 발견된 토기의 모양은 술잔, 사발, 병 등 여러 종류가 있으며, 대형의 항아리와 뚜껑이 있고 넓적한 작은 그릇인 합모양의 조각들도 발견된다. 토기에 찍은 꽃무늬의 종류도 다양하며, 인근 지역에서도 꽃무늬를 찍은 인화문토기 가마터가 발견되는 것으로 보아 통일신라 전기에 경주지역에 사용된 토기들이 주로 이 지역에서 만들어졌음을 알 수 있다. 출토된 토기 조각들은 7∼8세기 통일신라 토기 연구에 중요한 자료가 되며, 특히 화산리 가마터에서 발견되는 회색유약을 바른 토기는 그 전에 자연적인 유약을 바른 것보다 발전한 것으로 토기를 만드는 기술이 우수하였음을 말해주는 것이다. 회색유약을 바르는 것이 바탕이 되어 청자가 발생하기 때문에, 회색유약을 바른 토기의 발견은 우리나라 도자기 제작기술 발전의 중요한 단계를 증명하는 것으로 의의가 크다. 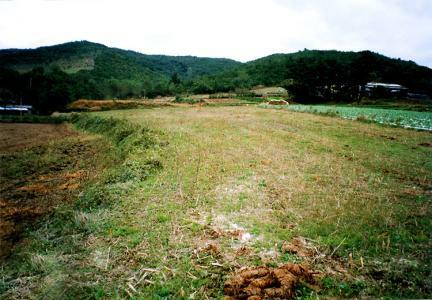 This is a place where earthenware was made during the Silla Dynasty, and traces of the kilns from that time still remain. 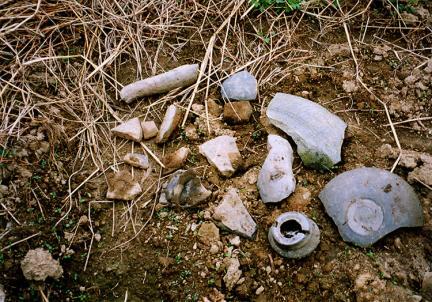 Many pottery fragments are scattered around the fields nearby, most of them crushed together because they were the ones rejected from the kilns. But it was found that broken pieces from the kiln wall were made of hard clay, so it is expected that the kilns will be well preserved they are when excavated. 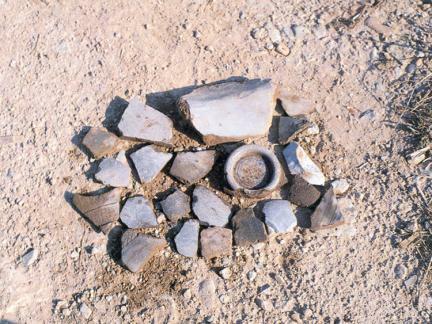 Most of the pottery found at the old site has impressed flower designs and are believed to have been made in between the 7th and 8th centuries. Approximately 20% of them were coated with ash glaze, which is quite remarkable. Various shapes have been found, like wineglasses, bowls and bottles, as well as large pot and a small case with a square cover. There are also various flower designs impressed on the pottery. 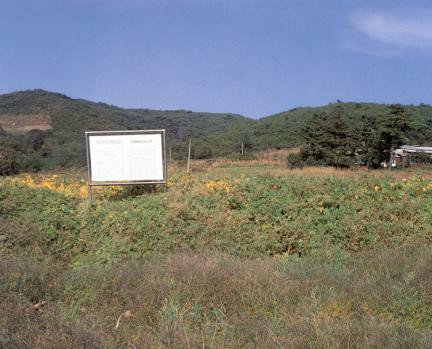 Considering the other kiln sites for earthenware with flower design, found near here in this region, it is possible to surmise that the pottery used around Gyeongju in the first half of Unified Silla was mainly produced in this region. The fragments excavated from the sites are important material for study of the earthenware of Unified Silla in the 7th-8th centuries. In particular, items coated with ash glaze found at the Hwasan-ri site indicates that they were more advanced products than the earlier ones coated with natural glaze, and manufactured by a superior technique. The discovery of ash glaze-coated pottery is really significant, because it shows an important improvement in the manufacturing technique of ceramic wares in our country, since celadon originated from the basic technique of applying ash glaze onto a ceramic surface.